Editor's Note: The following story was produced for Youth Takeover week at KQED. Most farms grow food with soil and water. But at Ouroboros Farm in Half Moon Bay, Ken Armstrong grows food with water and fish. "More and more people are looking for sustainable solutions to our agricultural needs in the future," Armstrong says, "and aquaponics is one of those solutions." 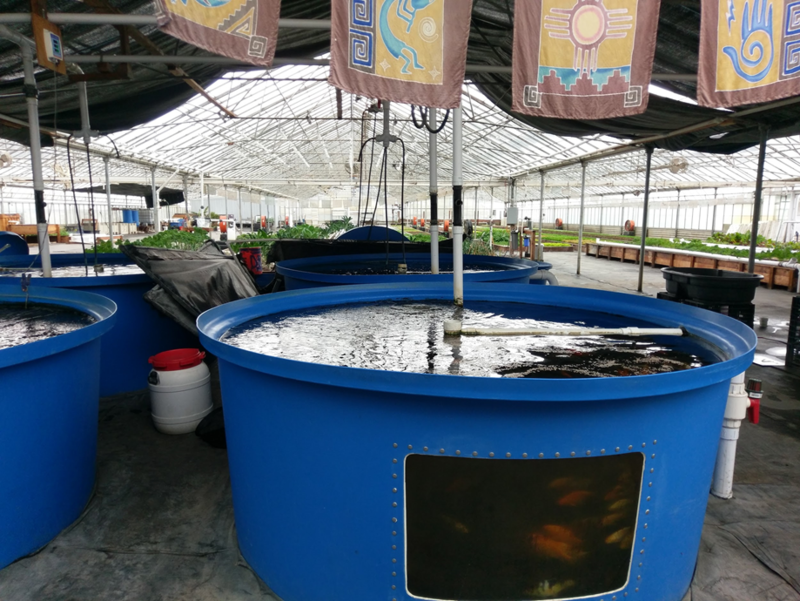 Farming with aquaponics means balancing three ecosystems: fish, plants and bacteria. The system is a loop that circulates the same water over and over from fish to plants to fish to plants. The job of the fish is just to eat and poop. Bacteria turn the fish poop into nitrates for plants. As the plants take in nourishment, they filter the water and clean it. The clean water goes back to the fish tanks. 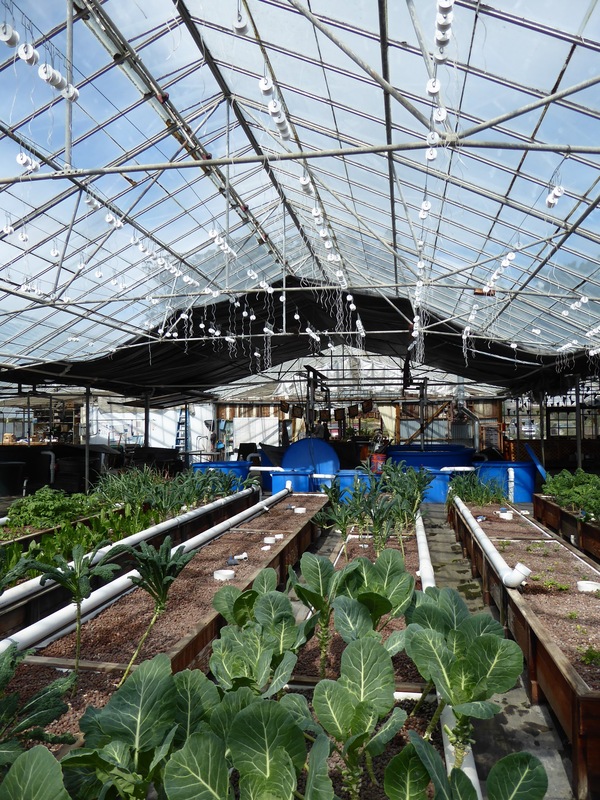 "Pretty much the only utilization of water in an aquaponics system is through transpiration," Armstrong says, "what the plants actually utilize, and very little is lost to evaporation, which is the case in most soil-based agriculture." In a state prone to drought, water is a huge worry for farmers. During the most recent drought, some farmers had to fallow their fields for lack of water. Armstrong says that wouldn’t happen to him, even in a severe drought. "If our water allotment was reduced by 85 percent, I wouldn’t have to change a single thing about the way I do business. It’s not even a blip on my radar." Despite the benefits, there are some challenges in using aquaponics. Plants that prefer low acidity, like blueberries, don’t do well. And there are high upfront costs to all that infrastructure, plus high energy costs. "You have to heat the water, aerate the water, and pump the water," says Jackson Gross, a researcher at the UC Davis Department of Animal Science. "It’s not without its inefficiencies." Still, there are ways to minimize these in the water system. "It can be hooked up with solar," Gross says. "You can utilize gravity. You can be better with water conservation." Aquaponics has been around since the days of the Aztecs and Mayans, who used floating gardens to take advantage of the nutrient-rich waters of nearby lakes. The Asian cultures put tilapia or carp in their rice fields to increase yields and reduce the number of insects. Now, Armstrong says, aquaponics is intriguing as a possible climate change solution. "You're sequestering carbon by doing this," he says. "You're not using a lot of chemical-based fertilizers." 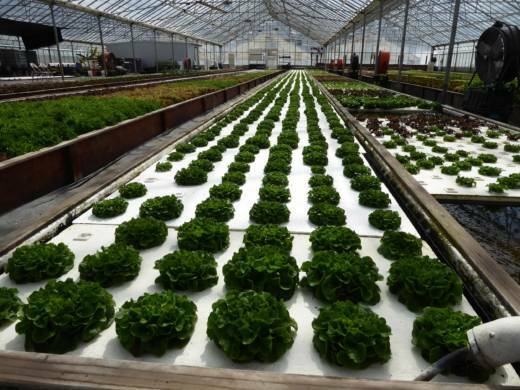 In the future, aquaponics could be used in urban areas to grow leafy green vegetables, which are the plants these systems are most suitable for. "If you were to use the Bank of America building, that footprint, put aquaponics systems on every floor there -- that one square block radius of San Francisco could probably produce 1 to 2 million pounds of fish per year and over 300 million heads of lettuce." "You’re going down the ground floor of the Bank of America building," he says, "there would be your fish and produce market, so your fish and produce are just coming up and down in an elevator." That vision could be a ways away, but up at UC Davis, Jackson Gross and other researchers are working on a plan for a new commercial- scale aquaponics farm. And as climate change poses new challenges, someday the fish and lettuce on your future dinner plate may be grown together. Bonnie Liu is a junior at Santa Clara High School. Her story was produced as part of Youth Takeover week at KQED.